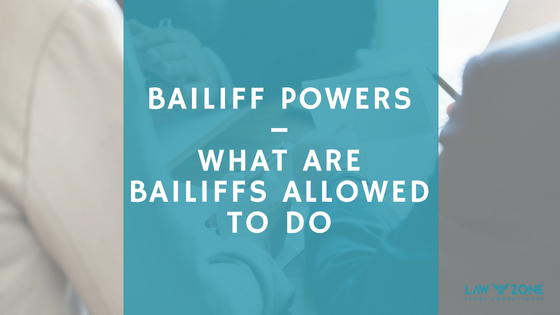 The powers of bailiffs and what they are allowed to do by law depends upon the type of bailiff. There are however some general rules which apply to all bailiffs. You must receive notice of their intention to call at least 7 days beforehand. So do not leave doors and windows opened or unlocked when they are likely to call and if you have a car, keep it hidden away. When they call check their identity and authority to collect the money claimed. If you are able, pay the debt or as much as you can afford before the bailiff calls. If this is not possible, take debt advice. Many organisations such as Citizens Advice Bureau will be able to .intervene and prevent enforcement action and the bailiffs calling. 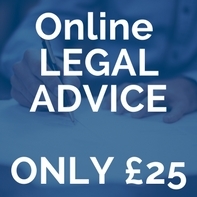 If the debt is a county court judgment, take legal advice on applying to the court for time to pay, suspend the warrant or have the judgment set aside. Otherwise make a list of your other debts and liabilities and have proof of your income to show the bailiff. Only make offers to pay which you know you will be able to keep. Bailiffs can only enter your home if you invite them in. So do not do so. They will often try to trick you into inviting them in by saying they can help you. Do not fall for it. If they find a door open, they can just walk in and a bailiff is likely to try a door before knocking to see if it is unlocked. They are not allowed to force their way into residential property and are no longer allowed to enter through an open window. They may not enter if invited in by a child under 16 or when vulnerable people are present. They are also not allowed to call after 9pm in the evening or before 6am in the morning. There are however exceptions which allow certain bailiffs to force entry to your home. These only apply as a last resort and are to collect payment for a criminal fine, unpaid VAT and certain taxes. If, however a bailiff has previously been invited into your home they are allowed to return unannounced and have a right of re-entry. They will also in most cases have a right to enter commercial, non-resident property and force entry if it is refused. Remember that if you do not allow a bailiff into your home they can, and often will, seize anything outside your home which includes your car. You may also end up having to pay the costs of an abortive visit which will be added to the money claimed. When a bailiff gains entry to your home they may go into any room and carry out a search for anything of value which can be sold. This will include forcing entry to any locked rooms, cupboards etc. They will usually not remove anything on the first visit, but will make a list of what they intend to seize if the amount they are demanding is not paid. They can only seize goods of a value which would sell at auction to cover the debt and their fees. Bailiffs can take most things which have a resalable value from a residential or commercial property. They may not take anything which belongs to someone other than the person responsible for the debt claimed such as a spouse or partner. If property is jointly owned it can still be taken but the other joint owner must be paid their share when it is sold. They cannot however take: clothing, bedding, furniture, household equipment, fixtures and fittings or anything required to meet basic domestic needs or anything belonging to children. Unless the debt claimed is for unpaid taxes or council tax, the authorised bailiff may not take tools, books, equipment necessary for use in employment or business. You are not obliged to co-operate with a bailiff. They are not allowed to threaten you and should complain and report them if they do. The fees they may charge and add on to the debt are laid down in law and cannot be exceeded.